The attacker is tipped to be just as good as previous Rugby Park alumni Steven Naismith. Kilmarnock fans have become used to seeing homegrown talent come through in recent years and they could have a new local hero to cheer in 2014. Under former boss Kenny Shiels, the development of young players became a long-term strategy with several given top flight experience towards the end of the 2012/13 season. One of those handed a brief appearance was Greg Kiltie. 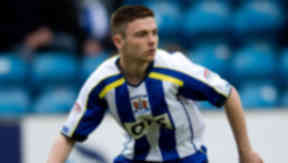 Aged just 16, he replaced Borja Perez in Kilmarnock’s 3-1 defeat to St Mirren. Primarily played in a wide position, Kiltie possess pace and trickery to beat players as well as a fine range of passing. The club’s under 20s coach Alan Robertson has worked with the current crop of youngsters as well as helping bring Kris Boyd and Steven Naismith through the ranks. 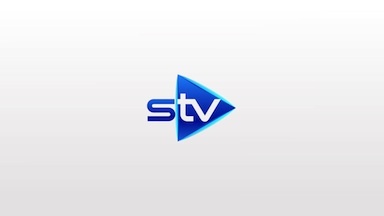 Former boss Kenny Shiels told BBC’s Sportsound programme: “You’ve got Chris Johnston, Jude Wichester, Rory McKenzie, Mark O’Hara and Ross Barbour [coming through]. Scott Gormal says: "The U20s are under the stewardship of Alan Robertson and James Fowler, two men who know exactly what it takes to make the step up from the youth team to the first team at Rugby Park with over 1000 appearances for Killie between them. "While the style of play has been easy on the eye it has been particularly pleasing to see a number of Ayrshire boys playing a key role in the side. Scotland U17 international Greg Kiltie is one of those local lads who have put in a number of impressive performances this season. "During our recent SFA Youth Cup win over Motherwell (where seven members of the starting lineup were aged 16 or under) one move in particular showed all of Kiltie's best attributes. "The nippy winger won the ball in his own box before beating two players and playing a one-two, he then spotted the run of Muirhead and played an inch perfect through ball to put Robbie in for the type of chance that he rarely misses to complete the perfect counter-attack. "The passage of play showed Kiltie's more obvious attributes such as his pace, trickery and vision but was also a great example of his willingness to do the less glamorous parts of the game. "This season Kiltie has shown that he is capable of playing as an out and out striker or as a traditional number 10 but he has mainly been utilised in the wide areas where his direct running and fast footwork have caused loads of problems for opposition full-backs. "Greg signed a long term contract earlier this year along with a number of his U20 team mates and if they can take their current performances into the first team the future looks very bright for us Killie fans."